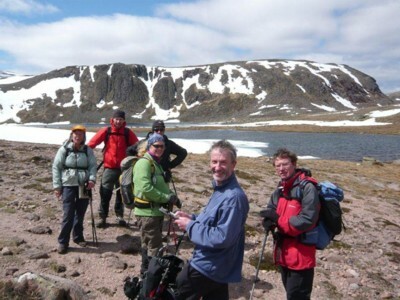 Culter Hillwalking Club is based in Peterculter outside Aberdeen, but has members from a wide area in Aberdeen and the Shire. We meet on the first Sunday of each month and also mid month on a Monday. Our main activity is hillwalking and we walk all year with shorter routes during the winter months. We also hold occasional weekend meets. Our club welcomes new members and beginners. or telephone 01224 897273 for further information.